The best thing for a first time home-buyer to know is that you do not purchase a house by accident. Buying a home is a process that requires a conscious decision and a purposeful attitude. That’s why it is a big deal. It’s not just a status symbol, it is a sign that you have your financial house in order to where a company is willing to lend you hundreds of thousands of dollars in order to purchase one product. In all likelihood, the purchase of your home will be the biggest purchase in your life, and that is not something to be taken lightly or without preparation. In an effort to aid you in that preparation, I’ve compiled information that will help you on your journey from a mere renter to a triumphant homeowner. Getting financed is the most important part of the home-buying process because unless you have cash, that is how you will purchase. A rule of thumb: You should be able to afford a loan worth three times your yearly salary. Seeking financing is not to be dreaded. It is an enlightening process that will give some of the most most valuable knowledge that you can possess including your credit score, how much house you can afford, and what work may or may not need to be done to be approved to purchase a home. Be sure to have money set aside not only for a down payment but also for costs that will be due upon closing. Be patient. Sometimes financing does not happen quickly, easily, or timely. Find a good Realtor that you trust, knows the market, the area, and knows what they are doing. Finding the right Realtor can cut down the amount of houses you look at, the amount of work you have to do during closing, and can help negotiate a better purchase price for you. Realize that you will be getting about 80% of what you want. 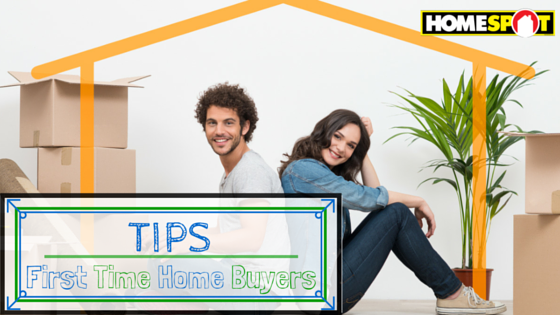 No house is going to fit perfectly into your criteria, especially as a first-time home buyer. It’s best to fill your absolute needs. Don’t get caught up on the color scheme. Paint colors and carpet style are things that you can change in the future. It will be YOUR house and that means you can do whatever you like with it. Focus on the things that cannot be changed: Location, Square footage, Floor Plan. Listen to the home inspector. Do not get too involved in a home with serious issues and on the same note don’t get tripped up on simple fixes. Be Patient. The house that will eventually be your home will probably not be the first house you look at, or the second, or the third. These things take time. Be Persistent. Be Thorough. Be Patient. Your house is not only a place to live but it is also an investment. Maintenance is key to assure that your house doesn’t LOSE value and improvements can be used to ADD value. Start saving for Home-maintenance immediately. All the repairs that would usually be taken care of by your landlord will now be your responsibility and you have to be prepared. Be insured for an amount that will fully cover any damage done in the event of a flood, fire, or other natural disaster or accident. Curb appeal is a huge factor in resale so maintaining the facade and the landscaping is crucial. Be sure not to over-improve. At a certain point, it will not matter how much money you have put into your kitchen remodel, the market and your neighborhood will not let you break through a certain price ceiling. Be Patient. Turning a house into your home takes time so don’t rush a home improvement project or a remodel. This post is provided by Mel Grassel. Check him out HERE for all your real estate needs.